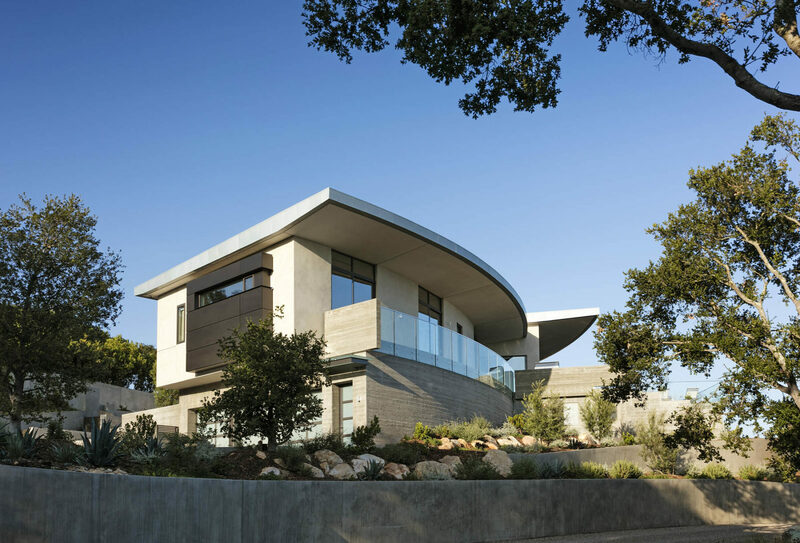 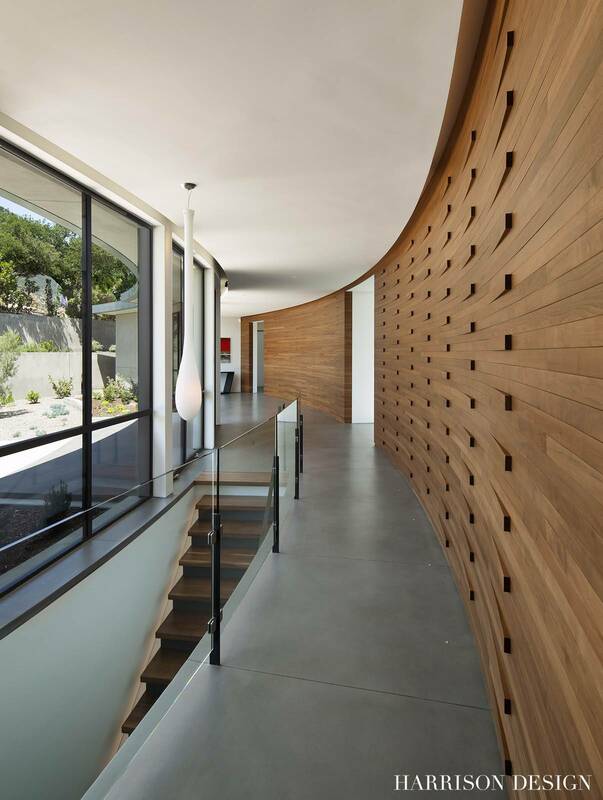 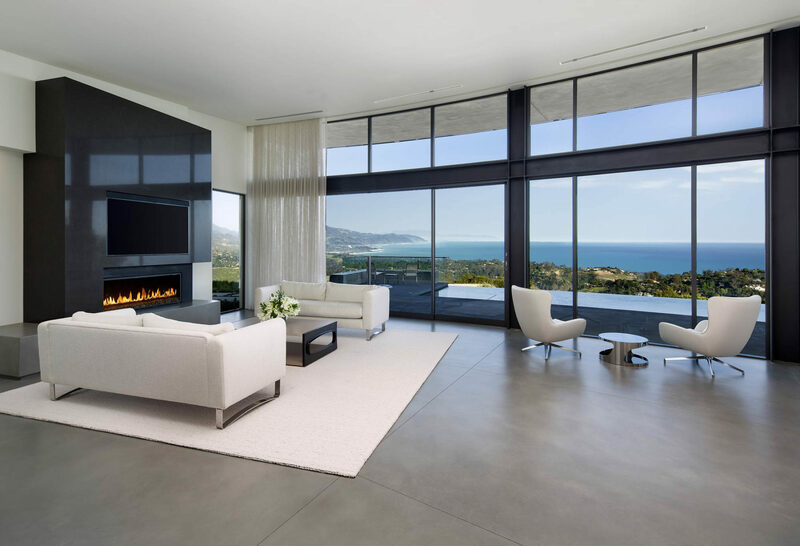 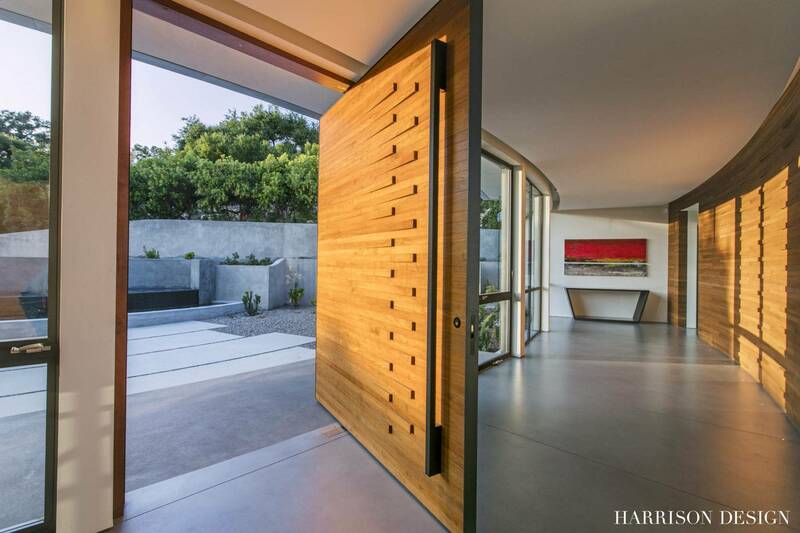 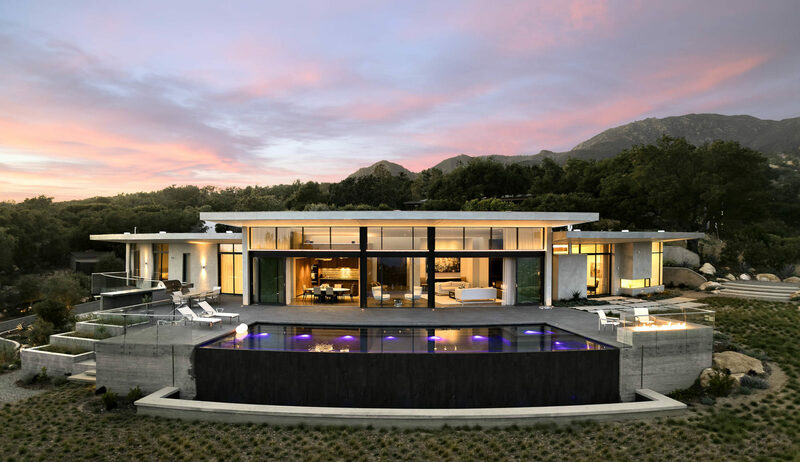 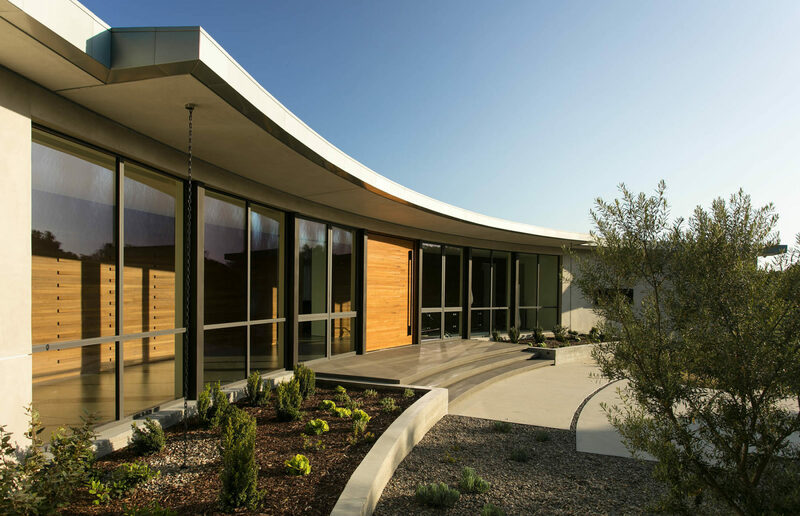 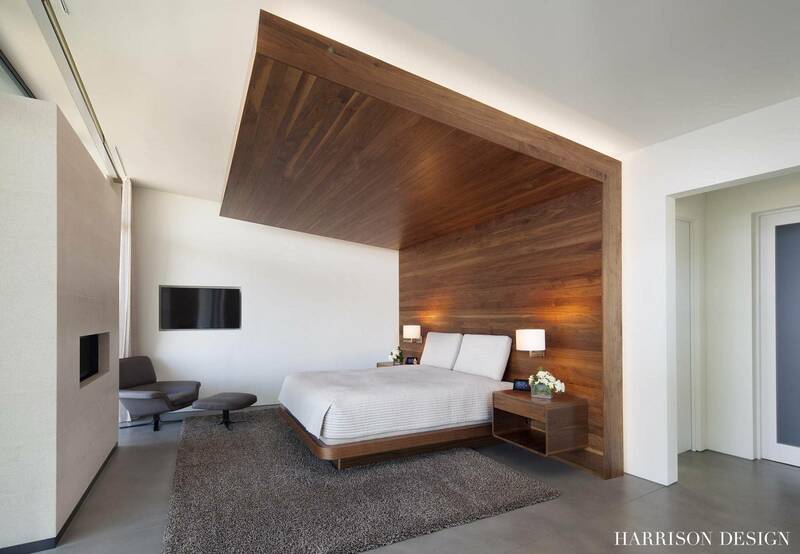 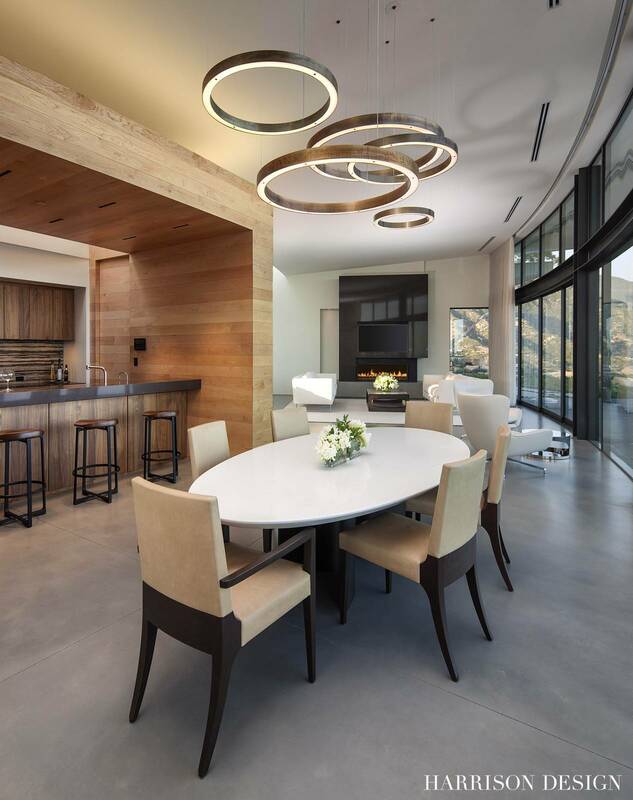 This residence, in the foothills of Santa Barbara, was designed to provide uninterrupted, 180-degree views of the city and ocean below. 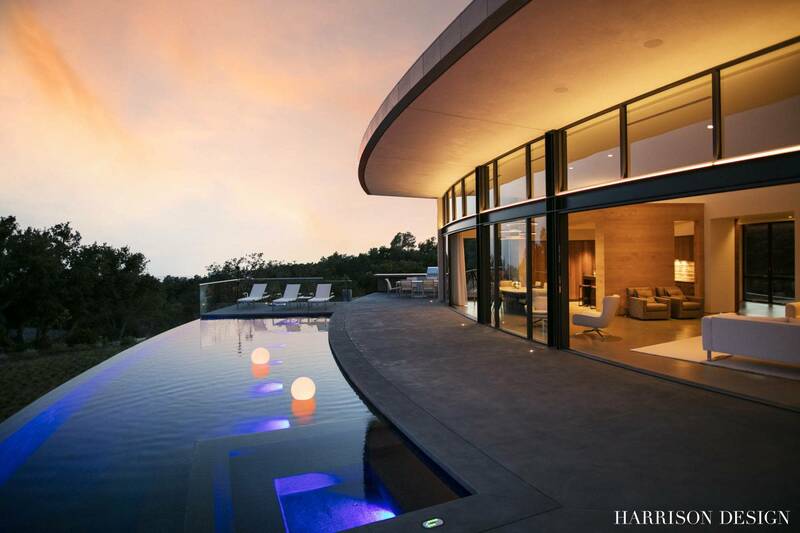 The home’s architecture is arced, with expansive curved glass windows and sliding doors that open from the living room to the terrace and infinity-edged pool. 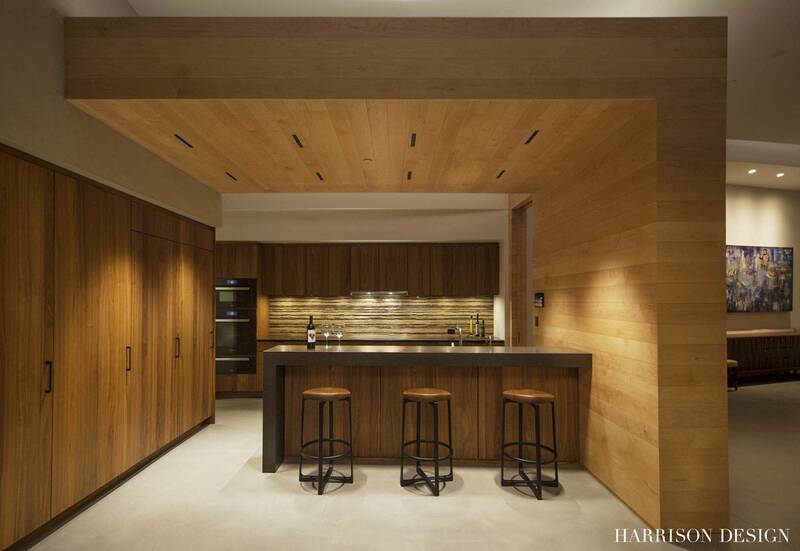 A double-volume center pavilion comprises the living room, dining room and kitchen. 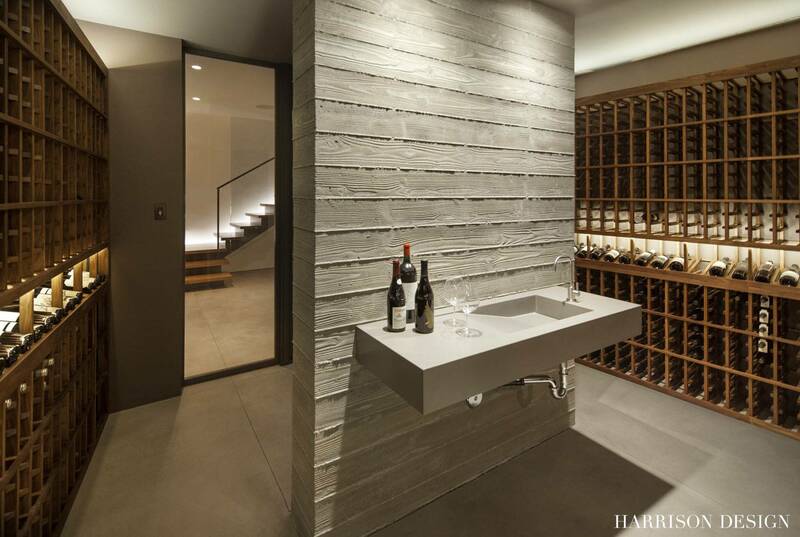 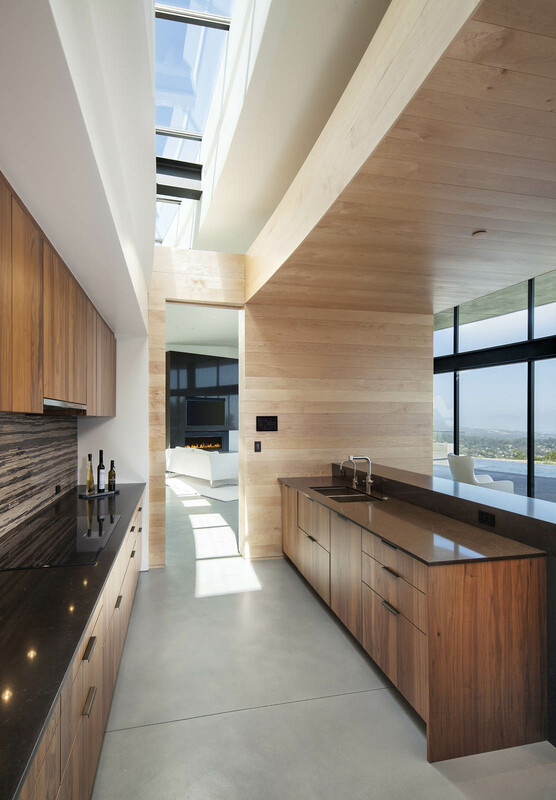 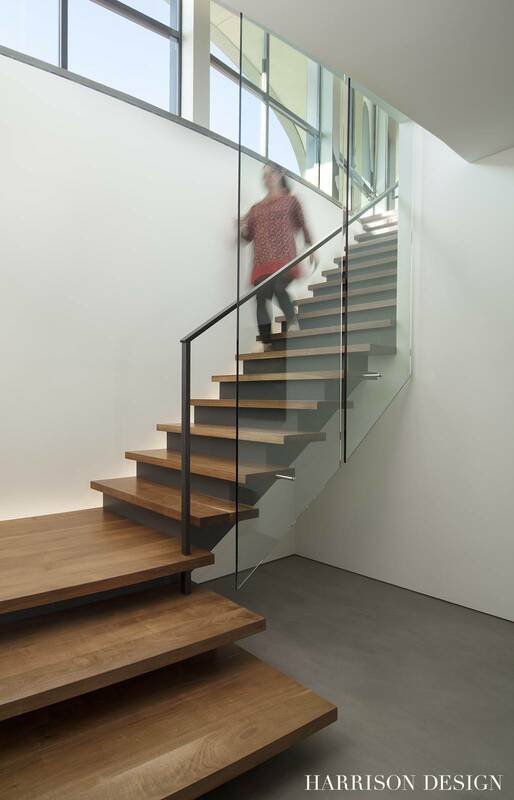 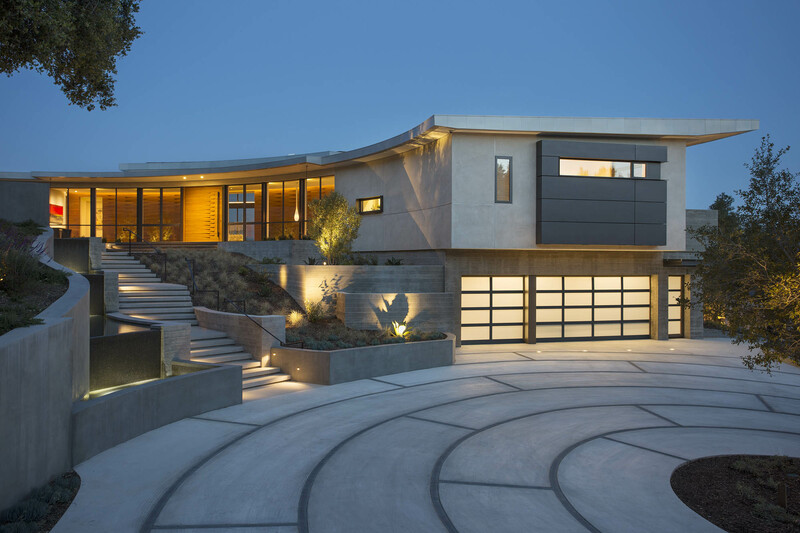 Despite its large size, the home maintains a low profile and sits quietly within the site, with the garage, wine cellar and mechanical spaces tucked into the hillside.